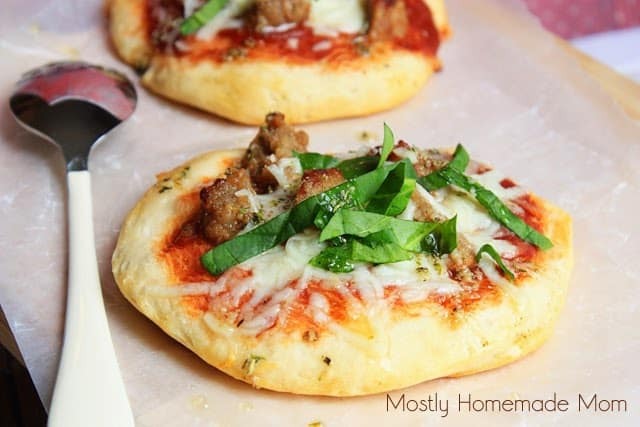 Refrigerated rolls make the perfect crust for these miniature pizzas! Marinara sauce, chopped meatballs, lots of mozzarella, and topped with fresh spinach and a garlic butter drizzle! We are pretty much pizza addicts in this house. We have some sort of pizza, or variation of a pizza, at least once a week in this house. 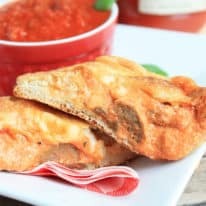 Crunchy crust, tangy tomato sauce, and lots and lots of cheese. Everyone gets fed. Everyone is filled. And most importantly, everyone is happy. I have to say though, just the plain sauce cheese and crust can get a little boring after a while. Don’t get me wrong – I LOVE a good, classic cheese pizza. Really, who doesn’t? When we’re eating out, I’m often inspired by the new creative pizzas I’ve been seeing at our favorite restaurants. 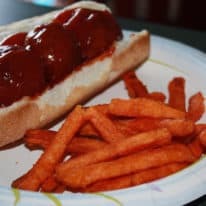 Paul and I usually go for something a little different, unusual, or even a bit gourmet – while the boys opt for maybe one extra topping on their favorite classic pizza. When we’re home, it’s easy to switch up a regular pizza. 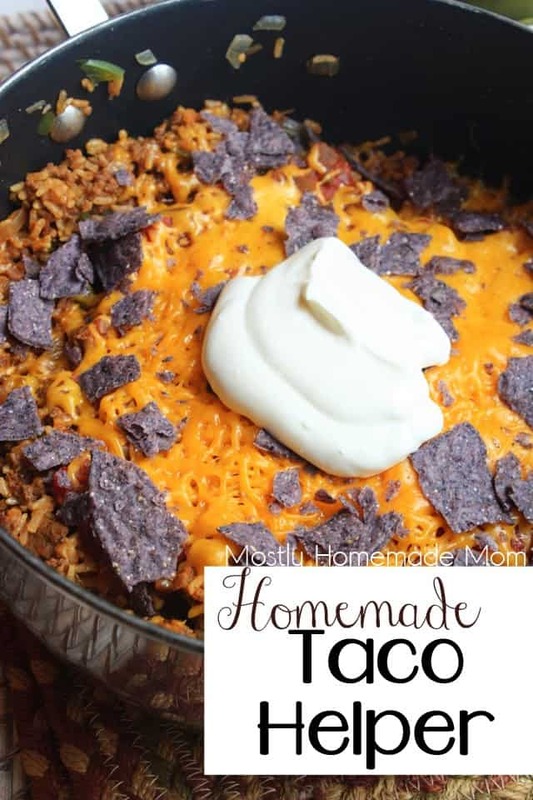 I try to look for things hanging out in the fridge that need to get used up: taco meat, grilled chicken, different cheeses, and chopped veggies usually top the list for me. Anything to make dinner that night just a bit different. 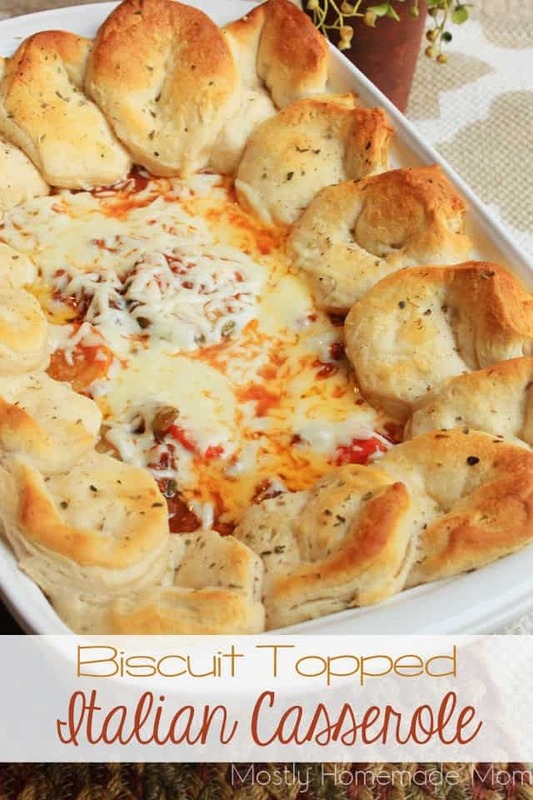 One of my favorite things to keep in the fridge for a quick pizza night are canned refrigerated jumbo biscuits. 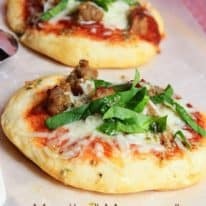 Separate them, flatten them out, and you have the perfect pizza crust. If you’re feeling extra adventurous, you can spread out different sauces, toppings, and cheeses and have everyone customize their own! At 3 and 5, I think you know how my boys would deal with that much freedom… haha. Separate rolls and press each roll out into a 5 inch circle. Place each flattened roll on greased and lined cookie sheets. Spread marinara evenly on each pizza. Cook meatballs as directed on package and slice each into quarters. 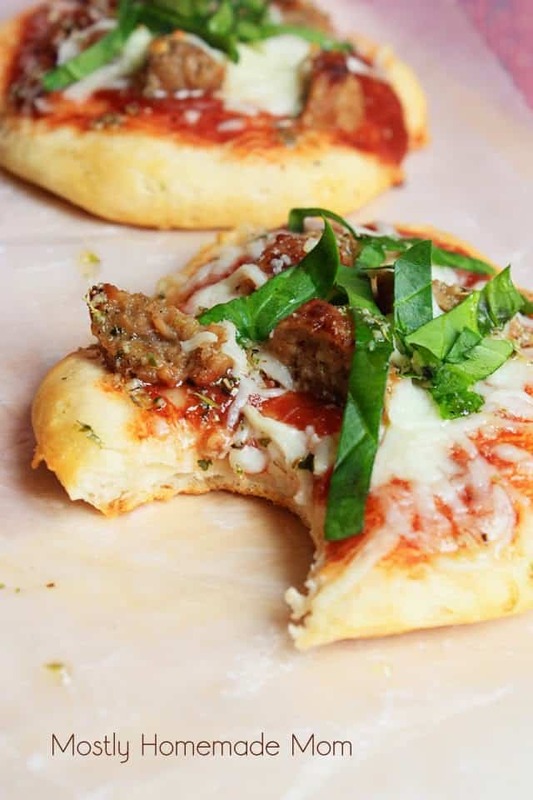 Divide chopped meatballs evenly among pizzas. Top with mozzarella. Bake at 350 for 13 minutes, or until crust is lightly browned. In a small bowl, combine melted butter, garlic powder, and oregano. Top each pizza with some spinach strips and a drizzle of garlic butter. Serve immediately. 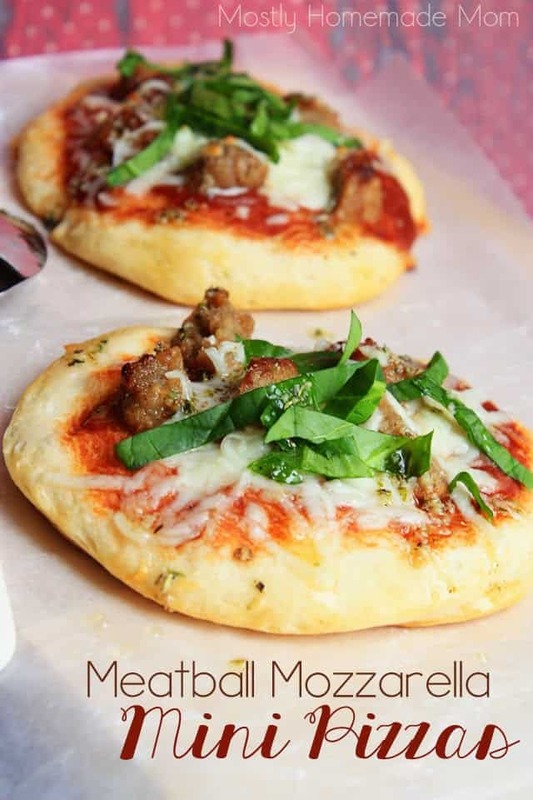 Anything meatball and anything pizza is a win-win in my book! Haha, I like your thinking Michelle!! We are pizza addicts in our house, too, Kelly! My boys would LOVE these! Plus, they're so versatile — great for appetizers, lunch, or even a fun dinner. Pinned!